An avid reader, Preston Lewis is especially fond of American history from the Civil War to the end of World War II. He has an extensive library that reflects his special interest in the Old West, largely because that was the history surrounding him growing up in West Texas, and in the Civil War because of the many fascinating stories that came from that period of the American saga. Because of his interest in American history, he especially enjoys writing historical novels where he can dramatize the events of the past or insert a fictional character among the historical figures of the time to see what happens. His historical novels include the four books in The Memoirs of H.H. Lomax series. 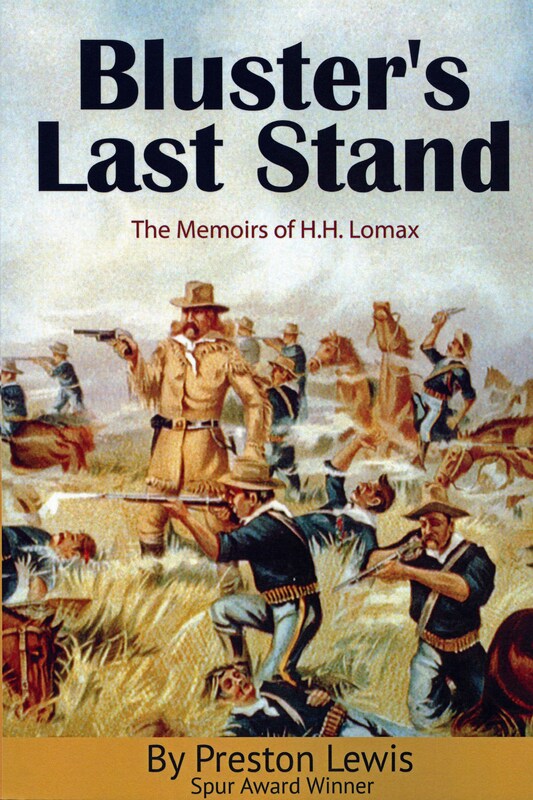 Bluster’s Last Stand, the fourth book in the Lomax series, won the 2018 Will Rogers Gold Medallion Award for western humor. 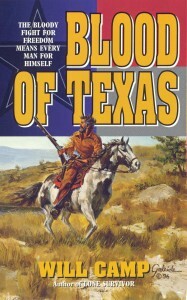 Blood of Texas, his historical novel on the Texas Revolution, won a Spur Award from Western Writers of America for Best Novel. The Lady and Doc Holliday is set in the 1870s Fort Griffin, Texas. He is currently researching the first Texas trail drives to Abilene for another Lomax novel. Bluster’s Last Stand: Events on the Little Bighorn might have turned out better for George Armstrong Custer had he listened to H.H. Lomax rather than trying to kill him. 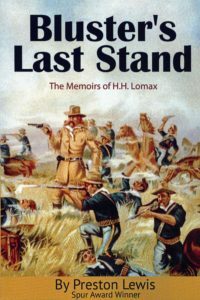 To save his own skin–and scalp–Lomax must outwit Custer and his troopers as well as face the horde of Sioux and Cheyenne warriors swarming Last Stand Hill. At least that is how Lomax tells the story in his inimitable and humorous romp across Old West history. Lomax’s latest misadventures take him from the Battle of Adobe Walls to Buffalo Bill’s Wild West show. In between, he’s a bouncer in a Waco whorehouse, a prospector in the Black Hills, a bartender in a Dakota Territory saloon and a combatant in the worst defeat in the history of the frontier Army. Everywhere he goes, he is haunted by his past with Wild Bill Hickok, but along the way he makes friends with a pair of naive telegraphers, a bevy of soiled doves, a half-dozen Seventh Cavalry troopers and a mule he names in honor of his nemesis, George Armstrong Custer. Ride with the Seventh Cavalry and Lomax as they make the fateful and fatal journey toward the Little Bighorn in Bluster’s Last Stand. 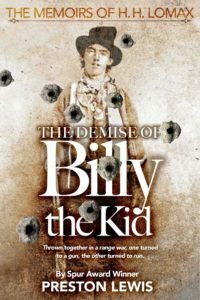 The Demise of Billy the Kid: Though the Lincoln County War remains one of the Old West’s most fascinating and most complex feuds with multiple levels of economic, ethnic and political complexity, it is best remembered today for the exploits of a minor participant—Billy the Kid. In the first book in The Memoirs of H.H. Lomax, Lomax crosses paths with Billy from the beginning of the conflict until The Kid’s final night on earth. Though they start out as friends and riding companions, Lomax and Billy wind up at odds over a senorita and the politics of outlawing. In his droll and often irreverent way, Lomax observes the many characters involved in the Lincoln County War and along the way meets the likes of Pat Garrett, John Chisum, Ash Upson and outlaws on both sides of the conflict. As potential employer John Henry Tunstall says of Lomax in comparison with The Kid, “He’s not as good with a gun, but he’d make another target if shooting starts.” In evaluating the intellect of Tunstall and his co-conspirator Alexander McSween, Lomax counters, “If I was as smart as McSween and Tunstall made out to be, I’d at least have been worried about being shot by a dumber man.” Lomax may not be the smartest man around, but he is a survivor, unlike many of his Lincoln County acquaintances. 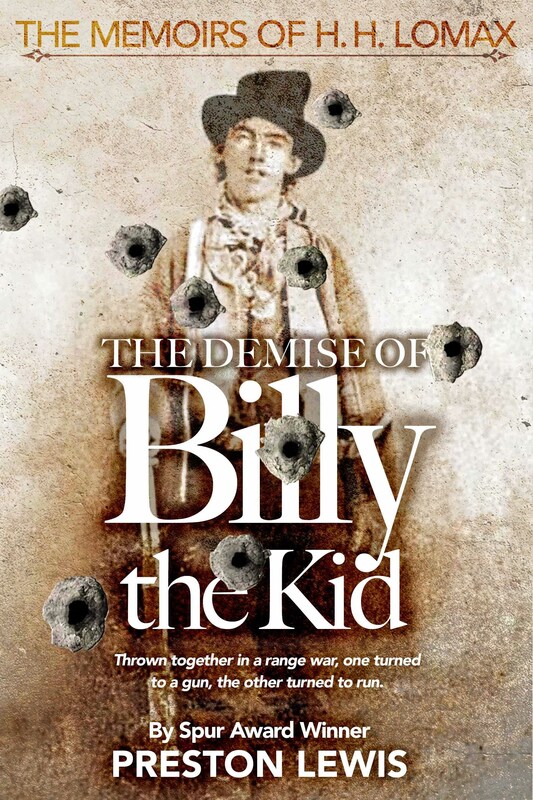 Try The Demise of Billy the Kid, a novel with enough history and action for longtime fans of the Old West and enough humor for those who have never explored this rich period of American history. 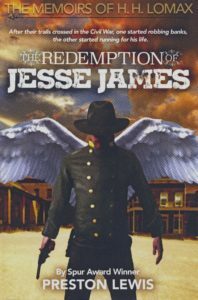 The Redemption of Jesse James: Though this historical novel is categorized as a western because of its connection to Jesse James, it is more aptly a Civil War novel about the coming of age of H.H. Lomax during the turbulent war years in northwest Arkansas. The second volume in The Memoirs of H.H. Lomax, this historical novel explores the choices the neighboring Lomax and Burke families have to make to survive during the Civil War years. With roving bands of partisans making life miserable for all, families in northwest Arkansas often paired up Confederate with Union so that they might not be burned out. Conflict is set when the Union-sympathizing Burkes, minus the husband and father, move in with the Confederate-backing Lomaxes. In addition to his own sisters, Lomax now has to deal with the Yankee-loving Pooty Burke and his three ugly sisters. Even so, the Burkes are nothing compared to the roving partisans, including Jesse James, and the two armies that torment or make life difficult for those folks just trying to survive the war years. With a combination of childhood innocence and precocious insight, Lomax in his droll way grows up, falls in love and takes actions that will save both the Lomaxes and Burkes, yet make him an outcast from his home for most of his life. Explore The Redemption of Jesse James for a poignant look at Civil War life through the eyes of the young H.H. Lomax. Mix-Up at the O.K. Corral: History has never determined with certainty who fired the first shot at the most famous gunfight in the annals of the Old West. H.H. Lomax knows because he was there. In the third volume of The Memoirs of H.H. 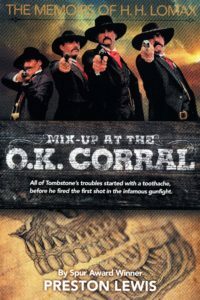 Lomax, Lomax stirs up more trouble than he can sort out in Tombstone, Arizona Territory. Lady Luck and a marked deck of cards win Lomax a saloon, which he parlays into a thriving Tombstone business against all odds, but as soon as things start going well they start going bad for him. Sure he spat in Doc Holliday’s drink, took an ill-timed ride on the Benson Stage, started rustling cats and, worst of all, turned to a lawyer for help with a disputed property title, but that was no reason for the folks of Tombstone to start taking bets on where he would get shot! Maybe they were just mad that he was cutting their drinks. Whatever their motivations, Lomax walks among the legendary figures of Tombstone without a single friend among the Earps, Clantons, McLaurys and others. When the shooting finally starts Lomax is not only dodging bullets, but also multiple spurned women, a diabolical cat and a reputation that he can’t escape. If Tombstone was indeed the town too tough to die, then Lomax is the toughest—or luckiest—man ever to set foot on the dusty streets of the Arizona mining town. Investigate Mix-Up at O.K. 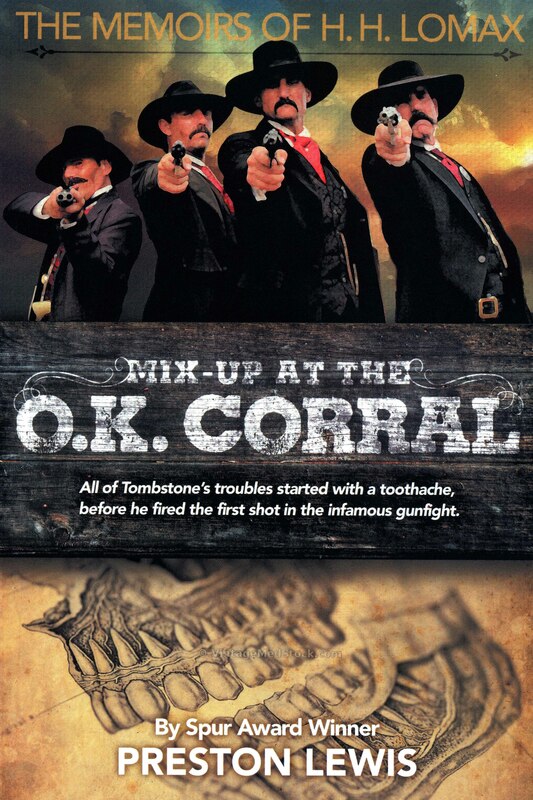 Corral for a look at how Lomax survives against all the odds in Tombstone. Blood of Texas: Rubio Portillo is faced with a choice between his Mexican heritage and what he believes is right. He chooses right and joins the 1835 Texas Revolution for freedom from Mexico. His decision costs him not only his friends but also his brother and his betrothed, the fickle Angelita Sanchez, forcing him into an alliance with the grizzled and racist frontiersman Donley Calder. Events and Calder’s daughter, Mary, draw the two men together in a matter of survival. From the Come-and-Take-It cannon at Goliad to the street battle at San Antonio de Bexar, Portillo and Calder fight side by side for independence. Their paths diverge at the Alamo when Portillo is dispatched for reinforcements. Along the way, Portillo rides with Ben Milam, Davy Crockett, William Barrett Travis and Jim Bowie in the name of Texas before joining Sam Houston’s troops. As he battles for Texas freedom, Portillo must also fight the suspicions of the white men who doubt his loyalty and his own Texas birthright. Even when Texas Independence is secured, Portillo must return to San Antonio and face the evil Juan Paz who has claimed his rancho and his betrothed for his own. Portillo understands that rebuilding his life will take as much courage, dedication and strength as it did to join the rebellion to begin with. The question is whether Angelita or Mary will be by his side. In the end, Portillo will write his own name on the honor roll of Republic of Texas heroes. 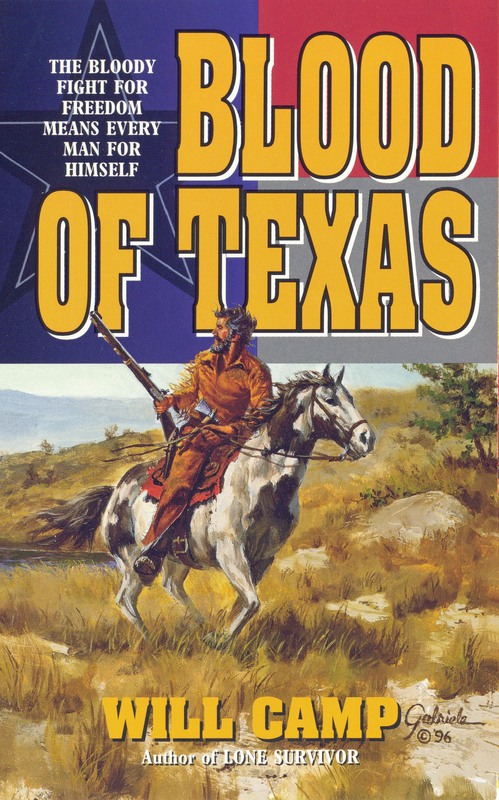 Ride with Rubio Portillo as he fights for Texas Independence and his dignity in the Spur Award-winning historical novel Blood of Texas, written under Lewis’s Will Camp pseudonmym.. 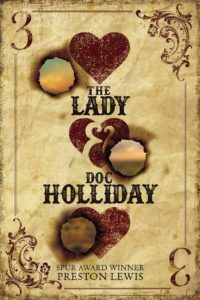 The Lady and Doc Holliday: Set in Fort Griffin, Texas, in 1876-77, this historical novel builds upon the legend of Doc Holliday’s unrequited love affair with the beautiful lady gambler Lottie Deno. Rough-and-tumble Fort Griffin is the location where legend says Holliday first met his lifelong pal Wyatt Earp and the tempestuous Big Nose Kate Elder. The triangle of Doc, Lottie and Kate threads its way through the novel, which provides a gritty look at frontier life in West Texas in the time of buffalo hunters, prostitutes, outlaws and vigilantes. While violence surrounds Fort Griffin, most of the showdowns in this novel take place across a card table when Holliday and Deno face off in games of poker or Faro. In addition to an unvarnished look at frontier life in 1870s West Texas, the historical novel demonstrates how gamblers played and cheated at a variety of games of chance. For Holliday, the greatest game of chance is his relationship with Big Nose Kate, whose schoolgirl affection for Doc is countered by her flaming temper at his indifference. Even after Deno counters every gambling and courtship move by Holliday, he cannot escape his crush on the lovely Lottie. In the end, though, Holliday must rely on Big Nose Kate to escape Fort Griffin and to ride with her into legend. 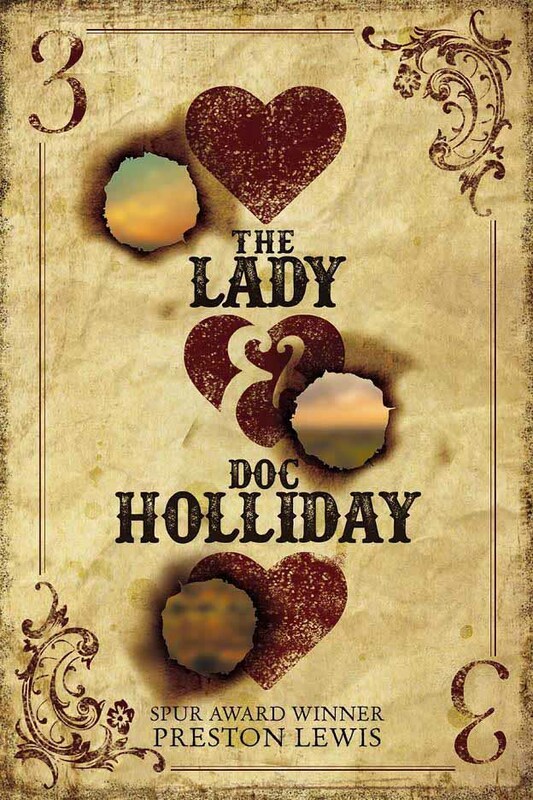 Check out The Lady and Doc Holliday for a look at the harsh realities of life on the edge of the Texas frontier.